Admission in Bachelors & Masters Degrees in the USA, UK, AUSTRALIA, NEW ZEALAND, CANADA and whole of EUROPE including SCHENGEN COUNTRIES. Advice, Documentation & Filing for Degrees & Diplomas that will result in a PR Visa after you finish your course. 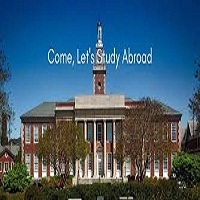 Student Visa documentation & Filing Services for all countries. Earn while you learn. Work Part-time while studying. Apply for permanent Immigration after completion of the course. Bright employment opportunities with well-paid salaries. Apply for Graduate work permit.